Save SAR 24 (88.89%) – Earn 0 Shukrans What is Shukran? Shukran is the Landmark Group’s award-winning loyalty programme in the Middle East, which allows you to earn Shukrans when you shop any of our brands. 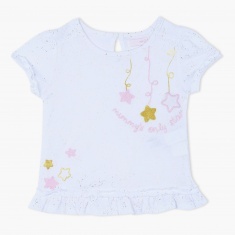 Spruce up your baby's casual appeal as you gift her this eye-catching t-shirt with embroidered stars. 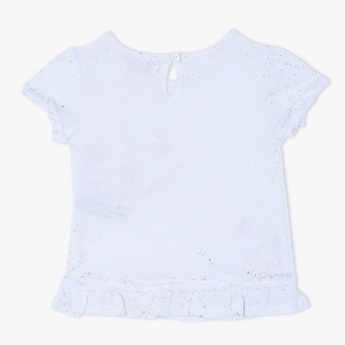 With a frill hemline, it will look great with a pair of denim shorts or jeans and sandals.